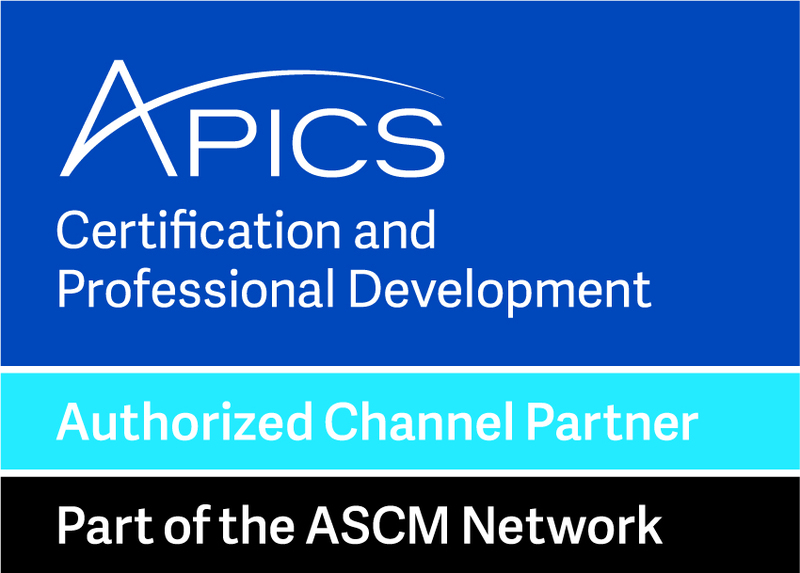 The APICS Certified Production and Inventory Management Professional increases your functional knowledge of production and inventory management to improve efficiency across the processes of your organization’s supply chain. You gain expertise that enables you to streamline operations through accurate forecasting, allowing you to predict outcomes more accurately. You will be able to maximize customer satisfaction by delivering products and services Just-in-Time; increasing profitability by optimizing your organization’s inventory investment. CPIM certification enhances your credibility among peers, employers, and customers Since 1973, the CPIM program has educated more than 90,000 manufacturing professionals on essential terminology, concepts, and strategies related to demand management, procurement and supplier planning, material requirements planning, capacity requirements planning, sales and operations planning, master scheduling, performance measurements, supplier relationships, quality control, and continuous improvement. Completely updated for 2018. The basic concepts in managing the complete flow of materials in a supply chain from suppliers to customers are covered in the Basics module. Supply chain concepts are introduced and basic terminology emphasized, as are relationships among activities in the supply chain.